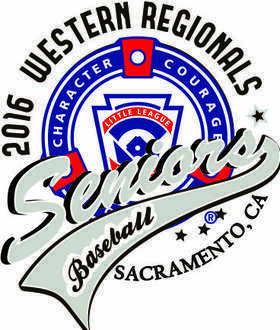 District 5 Will be Hosting The Senior Western Regional All Star Tournament for the next 3 years. California District 5 provides background checks on all volunteers in accordance with Little League International and the State of California requirements. Many questions on bats. Is this one OK or that one? Click the link to take you to the site that tells you what is and what is not legal! District 5 - Now on Facebook! View the link to read this very important rule for the upcoming season! History on District 5’s use of the ARC facility, how it came about, what our obligations are for continued use and what it means to the leagues in District 5 LL so that you will understand why you are required to have duty days at the ARC baseball facility snack bar. District staff operates the snack bar during the ARC baseball season and during the Optimist All Star games. Prior to 1981, we only had local league facilities to play our Big League program games and for our tournament games for the Senior and Big League programs. Hosting tournaments above the local level were not available to us as we did not have facilities adequate enough to be eligible. Any tournaments hosted had to be played at Renfree Field and a rental fee was imposed. John Meyer, then the District Administrator for District 5, negotiated with the Trustees of Los Rios Community College District and the president of American River College to build a facility for a 20 year exclusive use lease of the facility with options to be renewed. What started out as just a bare baseball field with no snack bar, no lights, no rest rooms, one small set of bleachers and no cement or grass approaching the field was transformed into what you now see at the facility. Each league in the District was assessed $3,000 to $5,000 as a startup fund and construction began with much donated labor and materials from the local Little League community. Our use of the facility began during the 1981 season. The local leagues were required to help district staff run the snack bar during the Big League season and during tournaments. In exchange for that, the annual profits from Big League, the tournaments and the snack bar were distributed back to the leagues. All monies originally assessed to the leagues were recovered by the end of three years and annual payments to the leagues continued through the 20 years, averaging about $1,500 per year per league. The lease was renewed after 2001 for a four year period during which the District was required to participate in replacing the entire grass on the field and installing a drain system in left field. The money that would ordinarily go back to the leagues during part of that four period was used to pay for the $27,000 costs the District incurred. I have been in negotiations with the college to renew the exclusive use permit for another 10 year period. The college wants the dugouts rebuilt and raised to ground level. Total costs are unknown at this time as we have just been given the final blue prints for construction, but are expected to be around $40,000 with a lot of donated labor and materials. I have not returned any money to our leagues the last two years in order to build funds to pay for the new construction. Once completed, money will begin to flow back to our leagues through the facility profits. 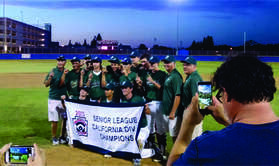 Western Region of Little League Baseball and are known throughout the Region for the tournaments we host there. This has only been accomplished with the support of our local leagues who help staff the snack bar during tournament play and during the High School Playoffs. We are also the only District in Little League Baseball who returns money to their leagues rather than assessing their leagues to fund the District operations. Without your support we would not be able to operate the ARC Baseball Complex and would have to revert to assessing our leagues to fund the District; something I do not want to do. All of our leagues benefit financially from the operations of the facility as well as from being able to play tournament baseball, Senior League baseball and Big League baseball there. I am asking each of you to share this letter with your Boards and your general membership so they can understand why the District needs your support at the ARC snack bar and why you directly benefit from its operations.